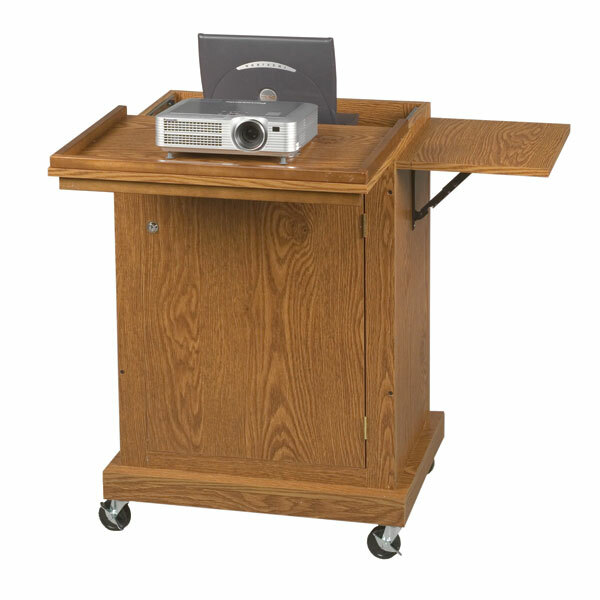 This economical cart is both a lectern, podium and a fully featured AV and Presentation cart. 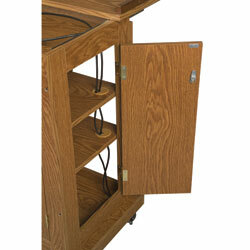 Three locking doors make it easy to set up as a technician and use as a presenter, while keeping contents secure when not in use. Innovative top slides forward to become a projector stand, while revealing storage space for a Netbook, Macbook or slimline laptop. Fold up side shelf increases space for presentation materials. Inside, two adjustable shelves include grommets for simplified cable management of your projector cart. 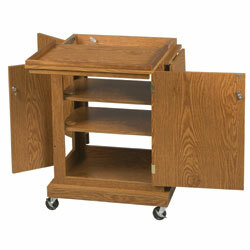 Sits on 3" casters, two locking. Adjustable shelves with gromet holes for cable management.